Missions Women encourages, trains, and equips women to participate in God’s mission to the world—whether going or staying here. 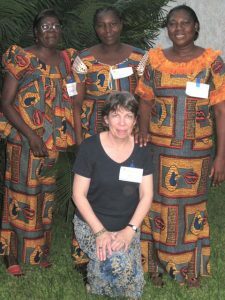 Missions Women offers women enriched training in a fellowship setting. Together we learn new ministry skills, practical life and relationship skills, and cross-cultural communication, as well as more about the cultures of the 9 different Denton Bible SERVE mission fields. We emphasize servant leadership as we join together to serve God by serving others—especially as we minister to our missionaries. Most importantly, we intercede for our missionaries and for people around the world to respond to God’s wonderful gift of salvation. Or who will remain in Denton as committed, knowledgeable partners and disciplers of our missionaries.